Be it a small detail about a particular version of a MK game, or a sound effect, etc. Anyway... <br/> <br/>Shao Kahn saying his own name when you select him in the PSX version of MKT. I like how he says it so affectionally. 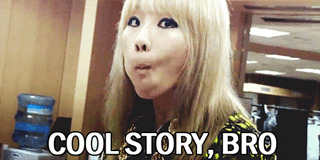 Also, his evil laughter when fighting on the Streets stage. <br/> <br/>Goro's kick in MKT. It looked funny. The AI-controlled version even made some odd farting noise sound when kicking players. <br/> <br/>Fighting Motaro on the Rooftop in the SNES version of UMK3 to the Subway theme. What a pity Sheeva was removed from that version. <br/> <br/>The Soul Chamber theme playing in Shao Kahn's stage, also in the SNES version of UMK3. <br/> <br/>The cheetah roar for Animalities in the SNES version of MK3. It was much more intense than the lion roar in the other versions. <br/> <br/> <br/>From the N64 version of MKT: <br/> <br/>Human Smoke's friendship ending with the "awoah" sound from the Deadpool stage fatality. <br/> <br/>The Subway theme playing on the Pit 2 and Scorpion's lair. <br/> <br/>The Pit's black, star-filled sky. <br/> <br/>The bridge theme playing on the rooftop. It was actually fitting. <br/> <br/>The Rooftop theme playing on the Pit Bottom. I was so young when I saw it for the first time, with the severed heads (I had only played the Game Boy and SNES versions of MK1 back then), and those gruesome sights, along with the theme, were impactful. <br/> <br/>Shao Kahn taunting opponents in his victory pose. Particularly awesome after his fatality, with the fatality theme playing. <br/> <br/>Leaping across the arena as Motaro. The playable version of him in the PSX version sorely lacked that ability. <br/> <br/>That's it for now. Shao Kahn saying his own name when you select him in the PSX version of MKT. I like how he says it so affectionally. Also, his evil laughter when fighting on the Streets stage. Goro's kick in MKT. It looked funny. The AI-controlled version even made some odd farting noise sound when kicking players. Fighting Motaro on the Rooftop in the SNES version of UMK3 to the Subway theme. What a pity Sheeva was removed from that version. The Soul Chamber theme playing in Shao Kahn's stage, also in the SNES version of UMK3. The cheetah roar for Animalities in the SNES version of MK3. It was much more intense than the lion roar in the other versions. Human Smoke's friendship ending with the "awoah" sound from the Deadpool stage fatality. The Subway theme playing on the Pit 2 and Scorpion's lair. The Pit's black, star-filled sky. The bridge theme playing on the rooftop. It was actually fitting. The Rooftop theme playing on the Pit Bottom. I was so young when I saw it for the first time, with the severed heads (I had only played the Game Boy and SNES versions of MK1 back then), and those gruesome sights, along with the theme, were impactful. Shao Kahn taunting opponents in his victory pose. Particularly awesome after his fatality, with the fatality theme playing. Leaping across the arena as Motaro. The playable version of him in the PSX version sorely lacked that ability. How Shang Tsung turned his head, observed and applauded the victor in his throne room from MK1. Liked the nostalgia of that stage, for the time. Just being able to kill the opponent in many different ways. I liked how some characters looked up at the car on the bridge and yelled no before getting their heads bashed in. The funny glitches. Like in MK2, if you do the first half of Sub-Zero's freeze fatality and then launch them into the deadpool, the character starts glitching out and its awesome. The rendering capabilities in the upcoming game have really blown me away. MK might not be graphically the strongest fighting game out there, but little things that they do really cinch it together in away that others tend to gloss over. 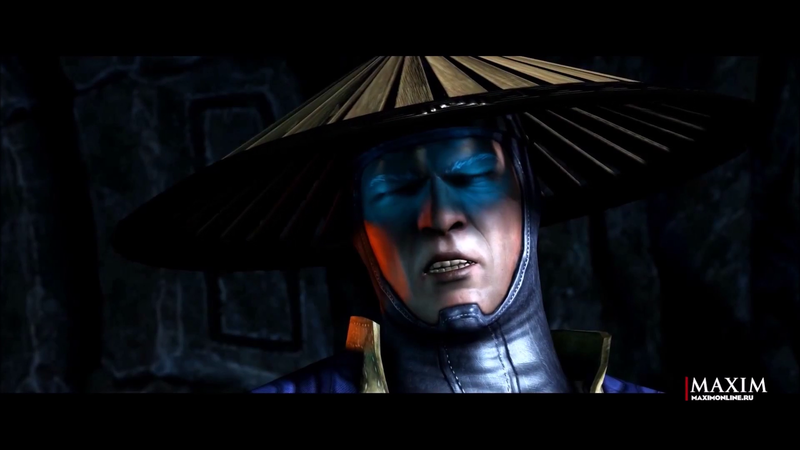 <br/> <br/>For example, it took me a while to figure out why Raiden seemed to have this weird blue "eyeshadow" around his eyes when he closes them: <br/> <br/><img src = "http://orig13.deviantart.net/d5ea/f/2015/085/b/c/vlcsnap_2015_03_26_20h52m34s248_by_doodler95-d8n8yoj.png"/> <br/> <br/>...until I realized that they actually rendered the light showing through his lids, which <i>would</i> be the most translucent skin on the face. Kudos to NRS for that small attention to detail. <br/> <br/>Also, they've come a long way in rendering teeth, for which I'm thankful. Everybody in MK9 looked like a pack-a-day smoker. The rendering capabilities in the upcoming game have really blown me away. MK might not be graphically the strongest fighting game out there, but little things that they do really cinch it together in away that others tend to gloss over. ...until I realized that they actually rendered the light showing through his lids, which would be the most translucent skin on the face. Kudos to NRS for that small attention to detail. Also, they've come a long way in rendering teeth, for which I'm thankful. Everybody in MK9 looked like a pack-a-day smoker. From the PSX version of MKT: The stage theme still playing after Goro and Shao Kahn win. That plus the announcer not saying their names felt impactful for some reason. <br/> <br/> <br/>When Shinnok kills Sareena in the N64 version of MKM. The N64's limitations required them to show stills of the cutscenes with dialogue underneath them, and Shinnok actually gets dialogue in that scene. In the PSX version, he says nothing. <br/> <br/>In fact, I wonder if the pictures weren't more effective than the scenes. the cutscenes were good, but the acting wasn't exactly stellar. <br/> <br/>Anyway, Shinnok's dialogue after he kills Sareena was slimy, imo, especially with Shinnok's smug face above it. Just his smug face alone wasn't as effective. <br/> <br/> <br/>The music in the SNES versions of the first three games. I think it's underrated. Here's a few examples: <br/> <br/>The arena theme, even more awesome when fighting Kintaro as it seems to slow down before the fight starts, and the crowd cheering when he wins. Plus opponents scream fully when uppercutted, whereas they don't in other stages for some reason, and Shao Kahn's taunts. <br/> <br/>The Wasteland theme, which also plays on the Pit 2, sounds scarier than the Arcade version's. <br/> <br/>The subway theme. My god, the way the SNES version of it ends is amazing, especially when losing to Motaro in UMK3 with the camera moving backwards to fully capture him. This camera thing regarding Motaro also happens in the N64 version of MKT, which the PSX version lacks. <br/> <br/>The narration theme in MK3 and UMK3 (with the bios), the character select screen one, and the "choose your destiny" one with Shao Kahn always laughing evily when you choose, so much awesomeness. <br/> <br/> <br/>When you defeat Shang Tsung in the SNES version of MK1, there are these bright colors flashing in the background, and the last fighters' souls to come out of him do so more slowly, with the announcer also saying their names more slowly. All of it followed by the end credits theme. From the PSX version of MKT: The stage theme still playing after Goro and Shao Kahn win. That plus the announcer not saying their names felt impactful for some reason. When Shinnok kills Sareena in the N64 version of MKM. The N64's limitations required them to show stills of the cutscenes with dialogue underneath them, and Shinnok actually gets dialogue in that scene. In the PSX version, he says nothing. In fact, I wonder if the pictures weren't more effective than the scenes. the cutscenes were good, but the acting wasn't exactly stellar. Anyway, Shinnok's dialogue after he kills Sareena was slimy, imo, especially with Shinnok's smug face above it. Just his smug face alone wasn't as effective. The arena theme, even more awesome when fighting Kintaro as it seems to slow down before the fight starts, and the crowd cheering when he wins. Plus opponents scream fully when uppercutted, whereas they don't in other stages for some reason, and Shao Kahn's taunts. The Wasteland theme, which also plays on the Pit 2, sounds scarier than the Arcade version's. The subway theme. My god, the way the SNES version of it ends is amazing, especially when losing to Motaro in UMK3 with the camera moving backwards to fully capture him. This camera thing regarding Motaro also happens in the N64 version of MKT, which the PSX version lacks. The narration theme in MK3 and UMK3 (with the bios), the character select screen one, and the "choose your destiny" one with Shao Kahn always laughing evily when you choose, so much awesomeness. When you defeat Shang Tsung in the SNES version of MK1, there are these bright colors flashing in the background, and the last fighters' souls to come out of him do so more slowly, with the announcer also saying their names more slowly. All of it followed by the end credits theme. Other little things I love about MK <br/> <br/>To see all the otherworldly and/or archaically-dressed characters like Kung Lao in the urban backgrounds, as well as the monsters fighting one another in them. <br/> <br/>Stryker in all the otherworldly/archaic stages. A cop, in police gear, in the Living Forest, or the Soul Chamber, or the Hidden Portal stage in MK3, etc, is an awesome contrast. <br/> <br/>Erron Black provides a similar appeal, but differently so, since he looks straight out of the Old West. I also like that he's associated with Kotal Kahn. A Cowboy in cahoots with a Tribal Aztec-looking individual. I love such variety. <br/> <br/>Freddy Krueger. He stands out in all the stages, even the urban Terran ones. For some reason, I particularly like seeing him in the Tower (the MK2 stage in the sky with a Shadow Priest floating in the background). <br/> <br/>The high-tech Netherrealm from MKM. To imagine that Hell, of all places, is the second one in the MK universe to be technologically advanced. I miss that aspect of the Netherrealm. <br/> <br/>The downed helicopter's blades slowly spinning in the Dawn version of MK9's Rooftop stage. The sound they make, along with the stage theme, helps convey that apocalyptic feeling. Another thing that does is re-using the Day theme, when the invasion was starting and the surroundings were lively. To see all the otherworldly and/or archaically-dressed characters like Kung Lao in the urban backgrounds, as well as the monsters fighting one another in them. Stryker in all the otherworldly/archaic stages. A cop, in police gear, in the Living Forest, or the Soul Chamber, or the Hidden Portal stage in MK3, etc, is an awesome contrast. Erron Black provides a similar appeal, but differently so, since he looks straight out of the Old West. I also like that he's associated with Kotal Kahn. A Cowboy in cahoots with a Tribal Aztec-looking individual. I love such variety. Freddy Krueger. He stands out in all the stages, even the urban Terran ones. For some reason, I particularly like seeing him in the Tower (the MK2 stage in the sky with a Shadow Priest floating in the background). The high-tech Netherrealm from MKM. To imagine that Hell, of all places, is the second one in the MK universe to be technologically advanced. I miss that aspect of the Netherrealm. The downed helicopter's blades slowly spinning in the Dawn version of MK9's Rooftop stage. The sound they make, along with the stage theme, helps convey that apocalyptic feeling. Another thing that does is re-using the Day theme, when the invasion was starting and the surroundings were lively.